EIEN Engineering is a specialty engineering company providing quality engineering, design, asset integrity management, project management, and construction management services to Oil and Gas, Infrastructure, Power and Renewable energy sectors. EIEN Engineering offers a complete package of engineering, procurement and installation services for roof top solar power plant including the coordination with all the stakeholders for approvals and consents. Our dedicated team has the skills and experience to manage projects from resource analysis through to planning and specification, ensuring consistency, attention to detail and ultimately success. EIEN Engineering is providing glare analysis assessment for solar power plant from last three years and have executed several projects successfully for various airports. Empirically quantify glint and glare from reflected light and assess the potential impact (e.g. temporary after-image, retinal burn). No expensive equipment required - just upload photos of the glare and the sun. Analytically predict the potential impact (e.g. temporary after-image, retinal burn) of observed glare. Feasibility studies, optioneering, Comparative assessment / concept development for option selection,project BOD and specification. Industrial Building Design (Steel and concrete). 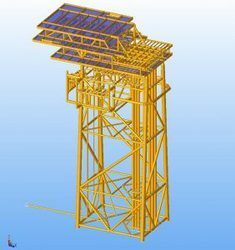 Design of pipe-rack, equipment supporting structure, pipe supports and access platforms. 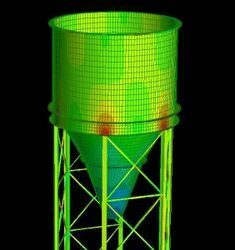 Seismic analysis (SLE/DLE) of structures. Equipment Foundation design (Static and Dynamic). Secondary structural design i.e. Cable tray support, Pipe-supports. Local equipment supports. Connection design, fabrication drawings and fabrication engineering support. Detail drawings, fabrication engineering and 3D modeling. Proposal-engineering support, BOQ, cost Estimation ITT preparatory support. SKID Design for lift and in-place condition. Cross country pipeline and associated civil design. Under Ground facilities planning and design. Front End engineering studies, Conceptual design and detail engineering for fixed platform design and FPSO Topside Modules. In-place, Lift, Transportation, seismic and fatigue Analysis for the platforms. Brownfield modification engineering – Equipment Support design, Pipe Support design, deck extension, lifting and installation engineering for Brownfield modifications. Topside surveys and preparation of scope of work for various surveys at offshore. Project management support during offshore execution. We provide project management services for oil and gas and Renewable Energy sector. Acting under formal appointment to the project as Owner’s Engineer, we offer a full suite of project management capabilities ranging from a simple onsite construction supervision role to full responsibility for administration of contracts to engagement with all stakeholders.